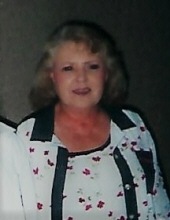 Paula Jo Martin, 72, of Stillwater, Oklahoma passed away Friday, January 25, 2019 in Tulsa. Funeral services have been entrusted to the care of Dighton-Marler Funeral Home of Stillwater. Visitation will be 1PM to 6PM Sunday, February 3, 2019 at Dighton-Marler Funeral Home in Stillwater. Graveside services will be 1PM Monday, February 4, 2019 at Fairlawn Cemetery in Stillwater. Paula was born May 30, 1946 in Holdenville, Oklahoma to Joe Henry and Stella Pauline (Dodson) Poe. Her family moved to Oklahoma City at an early age where they lived for a few years until moving to Stillwater when Paula was 15. She finished school and graduated from C.E. Donart High School in 1964, which is known as Stillwater High School now. On December 30, 1971 Paula and Jim Martin were married and made their home in Stillwater where they raised their daughter. She was the office manager for her father’s trucking company, Poe Cartage Company for many years before retiring. She enjoyed crocheting, reading mystery novels, painting, working crafts, and collecting cook books. She was an avid cook herself. She enjoyed making her favorite dishes for her family and friends. Her savory treats will be dearly missed. Paula is survived by her husband of 47 years, Jim; her daughter, Dr. Sherry Martin of Lecompton, Kansas; four grandchildren, Devin Martin and Adran Martin both of Lecompton, Kansas, Paula Martin of Stillwater, Oklahoma and Seth Martin of Shawnee, Kansas. She was preceded in death by her parents, Joe and Stella Poe. Family requests that donations be made to the OSU Center for Health Sciences in c/o Dighton-Marler Funeral Home, 5106 N. Washington, Stillwater, OK, 74075. To send flowers or a remembrance gift to the family of Paula Jo Martin, please visit our Tribute Store. "Email Address" would like to share the life celebration of Paula Jo Martin. Click on the "link" to go to share a favorite memory or leave a condolence message for the family.